After spending more than one year in prison, for ‘collusion against the [Iranian] government’ and ‘evangelism,’ Iranian pastor Rasoul Abdollahi has been released from prison. Abdollahi, a leader in Iran’s house church movement, was arrested Dec. 26 2010 and released last week, Feb. 16. His arrest was the same day as a number of other Christians during a widespread crackdown on church activity. According to agency Middle East Concern, his release came with strict conditions preventing him from participating in Christian activities; any violation would result in his re-arrest and requirement to fulfil his original sentence. Initially arrested by Iran’s Intelligence Ministry, he was detained and interrogated for two months before being released on bail and then sentenced to three years in prison in December 2013. Abdollahi, along with Rev. Farshid Fathi and other Christians sentenced at the same time, was then detained in Evin Prison, Tehran. full-time as a pastor and leading a network of house churches in Iran. Now 35, he is married with two young children, and has been separated from his family since Christmas 2010. In 2012 Fathi was sentenced to six years in Evin Prison, after 15 months in detention. World Watch Monitor has reported on how the UK’s Foreign and Commonwealth Office labelled his prison conditions as “harsh”. In April 2014, Fathi suffered a fractured foot and toe after being beaten by security officials during a raid on political prisoners in Evin. In Dec. last year Fathi received an additional sentence of one year in prison. Meanwhile Iran’s Supreme Leader, Seyyed Ali Khamenei, has said that “after the victory of the Islamic Revolution in 1979, there is no record of aggression by Muslims against non-Muslims” according to Iranian-funded Press TV. “Such treatment of non-Muslims is non-existent in the history of our Islamic regime. Even our hot-headed conservative youth do not allow themselves to attack a non-Muslim…based on Islamic teachings, followers of other religions should be treated with justice and fairness… Muslims in Europe and America face death threats. There is a great propaganda campaign against them, and their places of worship are under constant attack” he said. Khamenei was speaking at a meeting in the Islamic Parliament with members of Iran’s recognised religious minority (RRMs). RRMs include Christian ethnic Armenians, Assyrians and Chaldeans as well as Jews and Zoroastrians. Religious minorities in Iran are classified into two categories: recognised and unrecognised. Unrecognised minorities are individuals who were previously Muslim and chose to leave Islam. Unrecognised minorities are considered to have committed apostasy (i.e. rejection of Islam by a Muslim) – in Sharia law courts it can be punishable by a death sentence for men and life in prison for women. Khamenei‘s claims of Iran’s religious freedom, and tolerance of people of all faiths, come in spite of recurring evidence of intolerance. Large numbers of religious minorities have been imprisoned and executed since the establishment of the Islamic Revolution in 1979. Estimates from evidence provided by the American Center for Law and Justice, Article 18 and Middle East Concern, suggest that in December 2014 there were 92 Christians detained in Iranian prisons, only 13 of whom are serving court-issued sentences. 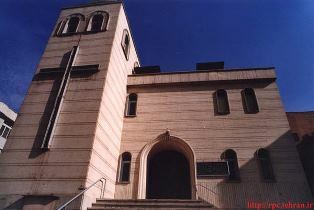 This treatment has been for both RRMs such as Armenian Christians Sevada Aghasar and Allen Dirigorosiyan, and Assyrian pastor Victor Bet-Tamraz, unrecognized religious minorities such as Pastors Rasoul Abdollahi and Farshid Fathi, born into Muslim families and therefore considered apostates for renouncing Islamic beliefs. Several UN special reports and resolutions have condemned the violation of the rights of religious minorities. According to the 2015 World Watch List by Open Doors, a charity that supports Christians who face hostilities because of their faith, Iran ranks seventh (up two points from last year) in the top ten countries where Christians are persecuted. The main driver of persecution in Iran, it says, is ‘Islamic extremism’; Christians from an Islamic background are especially targeted. Increasing numbers of Farsi-speaking churches have been forced to close; some of which have been there for both decades and centuries. This is a development that has not been seen in the history of the church in Iran, stated the World Watch List. “Expectations were high when President Rouhani took office in 2013. However, his powers are limited and in the short run, no concrete changes are expected for religious minorities” says Open Doors. Mohabat News reports that even Sunni Muslims cannot enjoy the least amount of freedom. As with Christians and other religious minorities, Sunnis are not allowed to build a mosque of their own in Tehran, the capital.